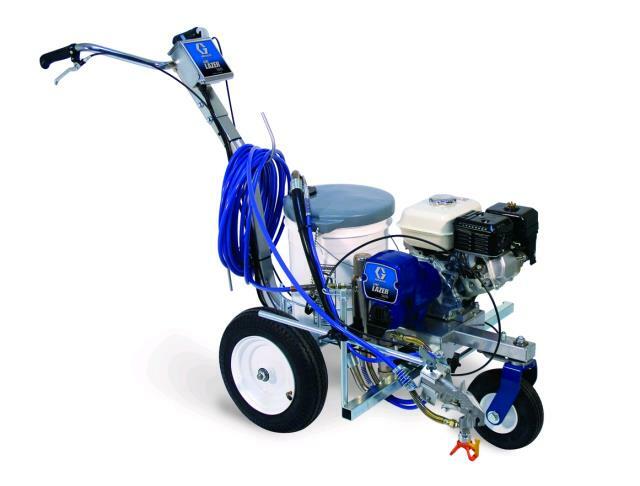 The Graco LineLazer 3400 is a portable gas powered single gun striper ideal for parking lots, schools or recreational fields. Electronic pressure control for excellent line quality and front swivel wheel for curves or up to the curb striping. Removable Spray gun from cart for stenciling. * Please call us for any questions on our striper parking lot gas linelazer 3400 rentals in Portland OR, Gresham OR, Milwaukee OR, and surrounding metro area.